Within communities around the world, women are actively resisting developments and policies that deny them their rights to water, food security and a clean, healthy and safe environment. They are playing vital roles in managing their natural resources and fighting to preserve access to them for themselves, their families and their communities. This knowledge and work by women, at the grassroots level, is often not recognised or valued, and women are still largely absent from the decision-making bodies that govern the use and control of natural resources. 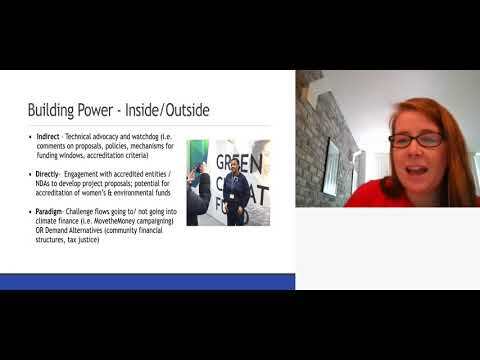 The Global Alliance for Green and Gender Action (GAGGA) seeks to change this situation by working with grassroots funds to support women's voices and leadership, and by advocating for policies and legal frameworks which respect, protect and fulfil women's rights. At the same time, GAGGA seeks to influence funding flows to ensure they reach grassroots groups and movements. GAGGA´s goal is to catalyse the collective power of the women´s rights and environmental justice movements towards realising a world in which women can and do exercise their rights to water, food security and a clean, healthy, and safe environment. 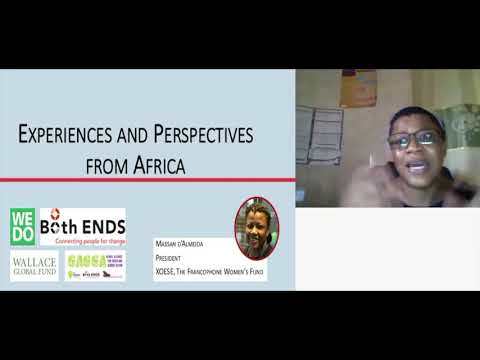 GAGGA believes the women's rights and environmental justice movements have each achieved great success and positive strides in their respective spheres through the use of different methods and tactics. There is much they can learn from one another. And the change needed requires the attention of both, working harmoniously and effectively together. GAGGA brings together the Fondo Centroamericano de Mujeres (FCAM), Both ENDS and Mama Cash, with the World Resource Institute (WRI) as strategic partner. With FCAM, a Central American grassroots fund based in Nicaragua with extensive experience in supporting women's rights groups as lead agent, GAGGA sets out to strengthen and unify the capabilities of grassroots groups to lobby and advocate with and for women to claim their rights to water, food security and a clean, healthy and safe environment. Both ENDS specifically brings in the environmental angle of this program as well as its expertise in lobby & advocacy at international level. In GAGGA, Both ENDS supports environmental grassroots funds, NGOs and networks to engage directly in lobby &advocacy activities at local, national and international levels, and builds the capacities of grassroots groups to do so. Together we monitor socially and environmentally unsustainable policies, and investments of international financial institutions and new financial mechanisms (with an emphasis on development, climate, and infrastructure) and propose sustainable alternatives. The International Institute of Social Studies, Both ENDS, IUCN National Committee of the Netherlands and Mama Cash invite you for presentations by Joan Carling, indigenous leader and women's rights activist from the Philippines and member of the permanent commission on indigenous peoples of the UN, and Jan van de Venis, Human Rights Lawyer at JustLaw, about the experiences of indigenous leaders in the Philippines, in a world of increasing oppression and human right violations against environmental activists.